Holy Communion under the form of bread is offered to the communicant with the words "The Body of Christ." The communicant may choose whether to receive the Body of Christ in the hand or on the tongue. When receiving in the hand, the communicant should be guided by the words of St. Cyril of Jerusalem: "When you approach, take care not to do so with your hand stretched out and your fingers open or apart, but rather place your left hand as a throne beneath your right, as befits one who is about to receive the King. Then receive him, taking care that nothing is lost." Among the ways of ministering the Precious Blood as prescribed by the General Instruction of the Roman Missal, Communion from the chalice is generally the preferred form in the Latin Church, provided that it can be carried out properly according to the norms and without any risk of even apparent irreverence toward the Blood of Christ. So, here we see the implicit order, but no suggestion this is compulsory. The instruction Redemptoris Sacramentum, issued by the Congregation for Divine Worship and the Discipline of the Sacrament in 2004, does not seem to suggest any rule regarding the order. Is there some regulation about this, or is this pure tradition? Communion in more than one kind is a relatively recent introduction. The Roman Missal of 1962 does not generally permit it, nor does the Interim Missal published in 1965. 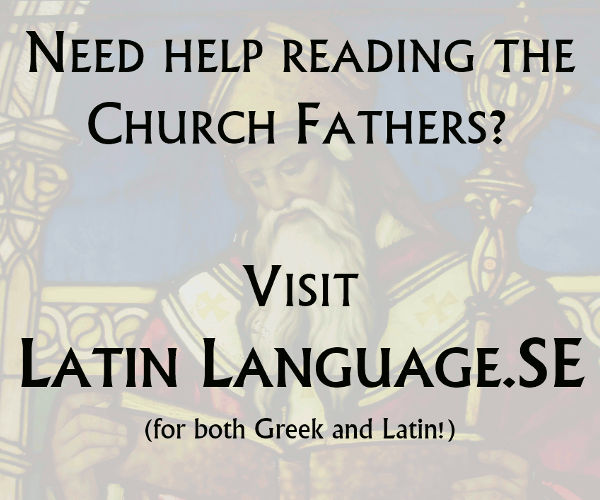 Both of those publications have the priest saying only "Corpus Christi" or "The Body of Christ" respectively¹. As you say, there is nothing in the recent editions of the General Instruction of the Roman Missal to indicate that the order is important. In cases like this, it's useful to go back to the last concrete instruction, which appears to have been given in 1969 in the Institutio Generalis Missalis Romani in the first post-Consiliar Missal. This is what it has to say on the matter, with my translation (which is of course open to correction). Ritus Communionis sub utraque specie quando Communionem suscipientes directo e calice bibunt. c) Singuli communicantes accedunt, debitam reverentiam faciunt, et stant coram celebrante. Celebrans hostiam elevando dicit: Corpus Christi, communicandus autem respondet: Amen, et a celebrante Corpus Christi accipit. d) Communicandus deinde transit ad diaconum et stat coram eo. Diaconus dicit: Sanguis Christi, communicandus respondet: Amen et diaconus porrigit ei purificatorium et calicem, quem communicandus ipse, pro opportunitate, manibus suis ori admovet. Communicandus, tenens manu sinistra purificatorium sub ore, attendens ne quid Sanguinis defluat, paulum e calice bibit, et postea recedit; diaconus autem partem externam calicis purificatorio absterget. The Rite of Communion in both kinds when the recipients of Communion drink directly from the chalice. c) The communicants approach in single file, make a reverence and stand before the celebrant. The celebrant raises the host, saying "The Body of Christ"; the communicant responds: Amen and receives the Body of Christ from the celebrant. d) The communicant then passes to the deacon, standing before him. The deacon says: "The Blood of Christ"; the communicant responds, Amen, and the deacon extends to him the purificator and the chalice, which the communicant himself raises, if appropriate, to his mouth. The communicant, holding the purificator in his left hand under the mouth, taking care so that nothing of the Blood may drip, drinks a little from the chalice, and afterwards recedes; the deacon wipes the outer part of the chalice with the purificator. There are specific instructions laying down the order in which the Sacrament is received, and even how it is done. It's interesting to note in passing that this Missal does not envisage Extraordinary Ministers of Holy Communion: only priests and deacons distribute the sacrament; and that kneeling to receive is at least discouraged (it's never been forbidden and is now explicitly allowed). It's also not envisaged here that the faithful take the chalice themselves, and that's now explicitly forbidden. ¹ The 1965 form in England & Wales was "The Body of Christ". The form for use in Scotland, which has always been more Presbyterian, was still in Latin.